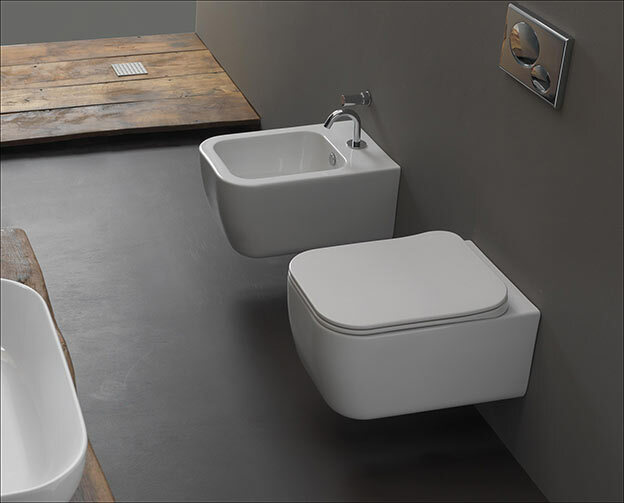 Nice Italian contemporary design produces this high quality wall hung toilet. Each designer toilet is supplied with a soft close toilet seat as standard. * Clean tidy contemporary bathroom design. * Soft close toilet seat included.